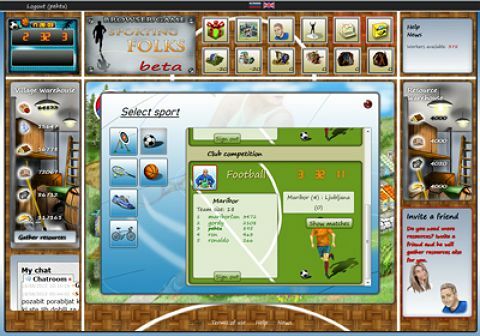 Sportingfolks is an online browser game in which you compete in various sports. 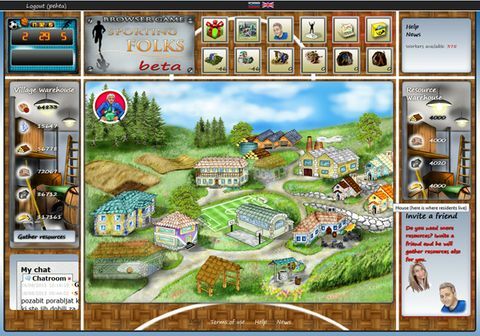 You start with one athlete and three village residents with whom you should dilligently gather resources. 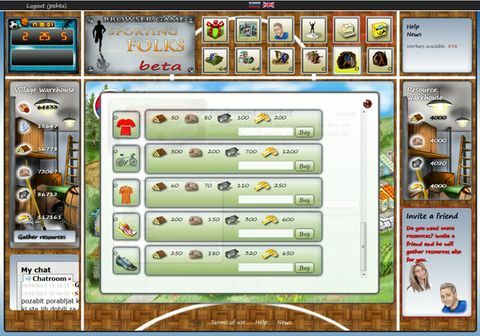 With resources you gradually buy new residents, buildings, sports equipment and other tools. You can compete in single sports or you can represent your city and country in team sports. You can also join and represent a club. In single sport you can challenge your opponent anytime you want, except when you or your opponent is at sleep. The team matches are scheduled once a day for city match and club match. For the next team match you can registered any time before the match. Rankings are weekly, monthly and seasonal and the best players are rewarded with free coins which they can be exchanged for bonuses. The game doesn't take you too much time to play even when you are playing for couple of months. Even if you log in once every few days, your athlete will be just fine. But if you want to be on first position,you will have to work out a little harder.